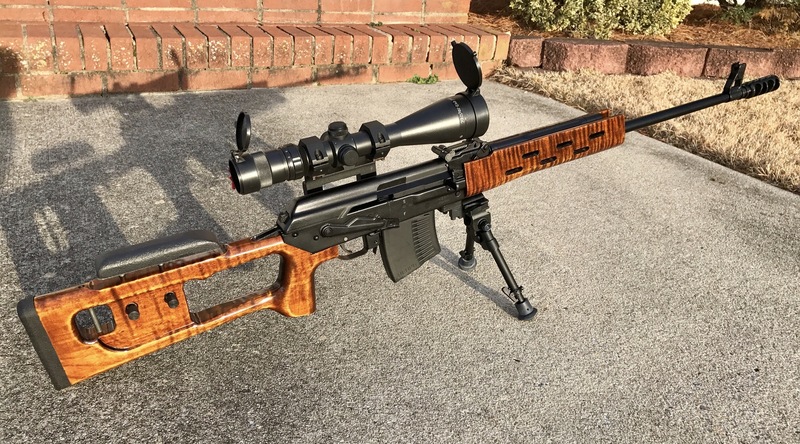 You guys are making me like wood on a gun more and more. That's pretty cool. 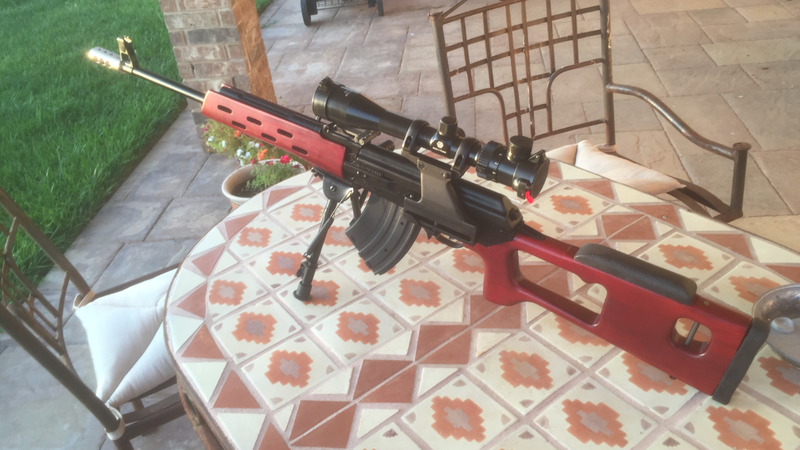 I used the Black Horse Arsenal versa pod spacer kit for vepr and versa pod bipod. I know there were problems in the past with BHA but I didn't experience any. One thing I did have to do was get two spacers because the Rhineland hand guard hangs down lower then the bottom of the receiver. Had to drill and tap the receiver but it was easy and they give you the proper taps and drill bits. Cleaned up this thread, by deleting posts with broken links to the pics. It is a picture thread after all. Please feel free to post again after hosting them on a sight that allows linking. 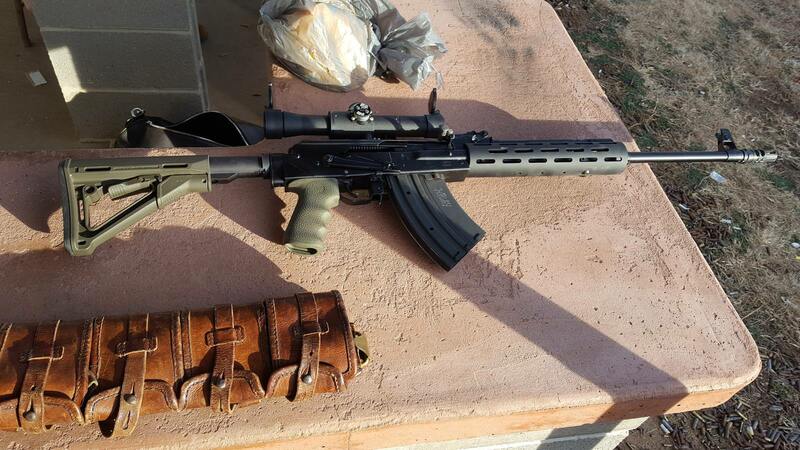 Here's my new baby with the 20" barrel. 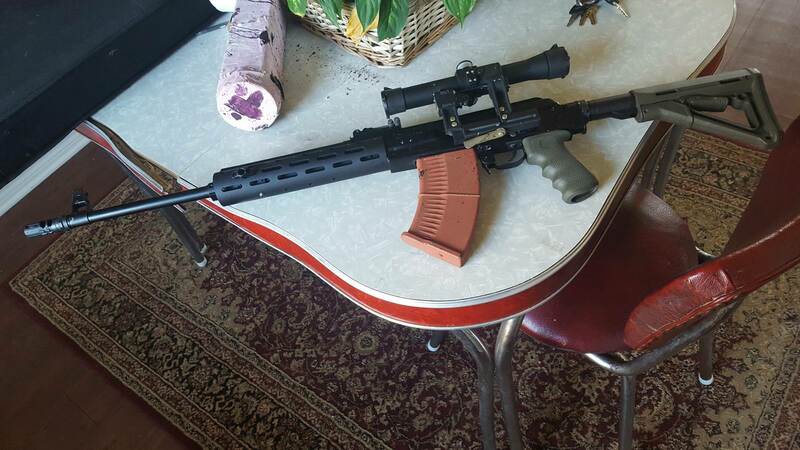 I have since moved the bipod up to the forward position on the forestock. I'm looking forward to some trigger time at the ranch after my next trip to Austin. Why did this thread get moved to the Marketplace section?? Shouldn't this be back in the 54R section? "Must get Moose and Squirrel!" 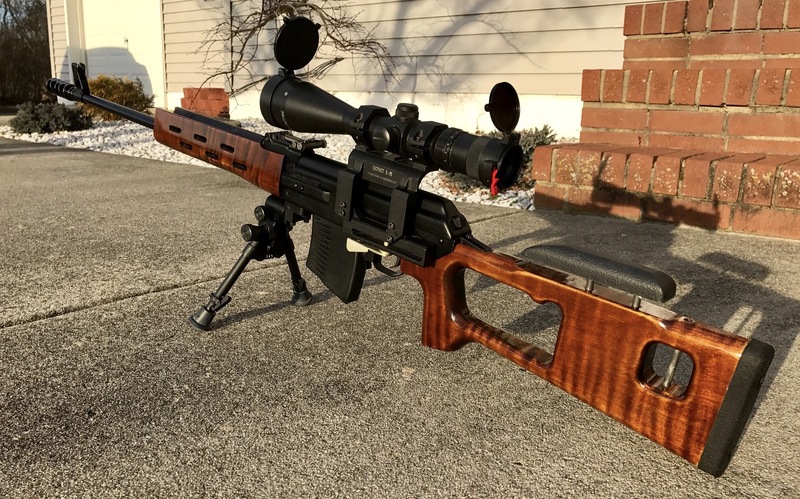 Seems that there is very little information on the VEPR Hunter as far as when they first went into production and when they stopped and why did the Pioneer continue and the Hunter stop. Another question, how many Hunters were made? Thanks if you can answer any of the above!